Physical Abuse Is control by violence or threat of violence including hitting, biting, burning or shaking. Social/Emotional Abuse Deliberately ignoring or leaving someone out, putting someone down, blackmailing or forcing someone to do something against their will. Sexual Abuse When someone forces another to do any sexual acts that they do not want to do or watch something sexual that they do not want to watch. Emotional Abuse Controlling another person through withdrawal of love, isolating them, becoming extremely jealous, constantly criticising another or threatening them. Cyber Bullying Using mobile phones or the internet to post offensive images, spread rumours or send abusive messages. It also includes internet stalking or ‘hating’ on social media sites. Bullying is the ongoing abuse of another person through physical, emotional or verbal means, often in the presence of others. Nobody has the right to hurt you physically or emotionally even if they are in a position of authority or they say they love you. Abuse is wrong. 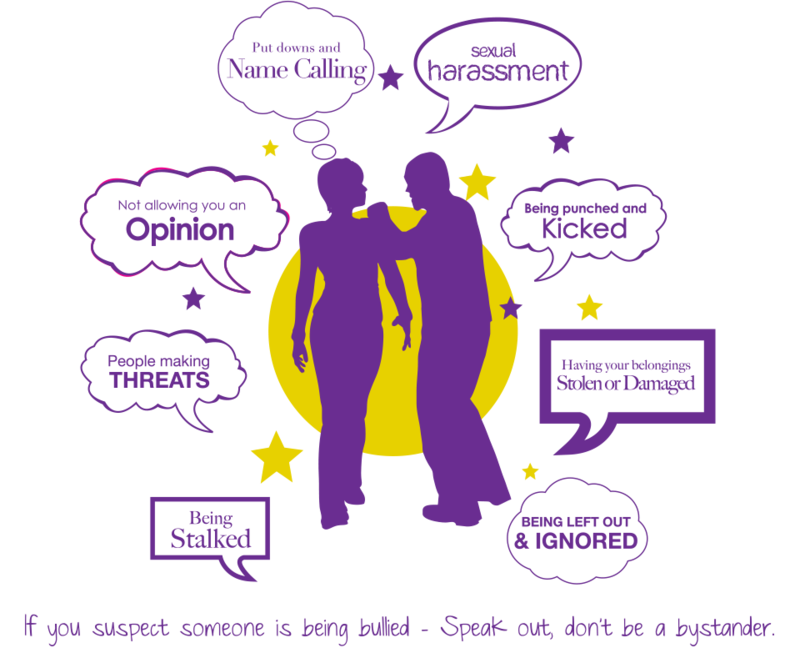 Always refuse to accept abuse and remember that secrecy is an abuser’s best weapon, so NEVER KEEP IT A SECRET and remember HELP IS ALWAYS AVAILABLE. The most important thing is to tell somebody you trust.